1.) Westchester is positioning itself for the future with new technology. New Rochelle has recently installed three solar-powered charging stations that allow users to plug in a USB cord to charge their device at a?”Soofa” bench. This is one part of our broader efforts to position New Rochelle as a forward-looking city, ready to compete successfully for the residents and businesses of the future, Mayor Noam Bramson said in a statement, according to lohud. The City of New Rochelle has installed “Soofa” bench at Ruby Dee Park at Library Green in New Rochelle Monday, Aug. 14, 2016.. The urban furniture is a combination of a modern park bench and a solar powered charging station. Carucha L.
In other technology developments, the City’s police departments will now survey the streets for crime using a drone. New Rochelle says the drones will be used to search for missing persons, monitor crowd control and photograph crime scenes. 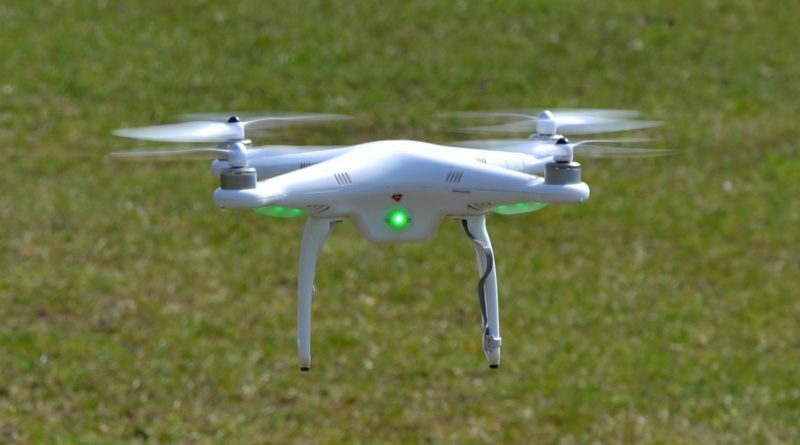 Police departments in Greenburgh and Tarrytown are also seeking to add money to their budgets to pay for the drones. Local departments say they can improve efficiency with aerial capabilities. “It’s amazing what it can do,” Detective Sgt. Robert Torr said as he looked up at the drone that was zooming through the air above him. 2.) You’ve heard us talk about imposter syndrome before that nasty condition where successful individuals, especially women,?have self-doubt when it comes to their success. Curran is second from left, though very much in the right place career-wise. Photo courtesy of Netflix From being a fresh-faced Minnesota blonde waiting tables at a Westchester Starbucks to portraying a bald, tough, and tattooed inmate in Netflix’s Orange Is the New Black , New Rochelle resident Francesca Curran has experienced a huge transformation in the past year. WHITE PLAINS, N.Y. — Last week White Plains Hospital celebrated the graduation of 13 student interns who completed an intensive, seven-week apprenticeship program this summer. During their full-time schedule, the apprentices experience working in clinical areas in the Hospital including pediatrics, the emergency department, ICU, labor and delivery and other departments. Flames broke out on the third floor at 28 Caryl Ave. YONKERS – Dozens of people have been forced into the streets this morning as a fire rips through their apartment building near the New York City line. Flames broke out in the third floor of the five-story building at 28 Caryl Ave.